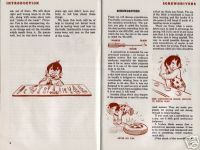 #1233 1945 Disney ABC's Of Hand Tools Booklet ! Here is a super piece of Disney memorabilia! 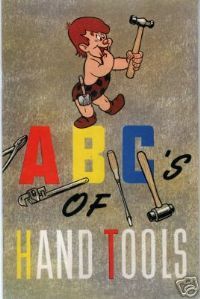 It is a 1945 issue of Disney's ABC's Of Hand Tools! Printed in 1945, but copyrighted 1943, it features a great cover with the classic Disney character Primitive Pete. 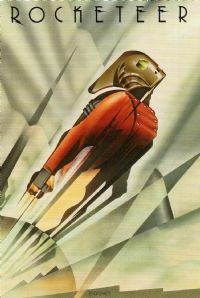 The book was produced in cooperation with General Motors Corporation during the war years. I believe it was designed to teach women back home the basics about hand tools, while their men were away at war. Each page has great animation drawings of tools and Pete. This softcover book measures approx. 5.5" x 8" and has over 42 pages. 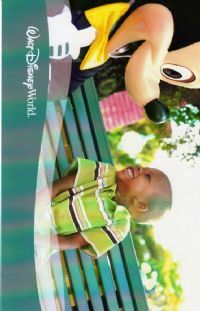 This is a nice old Disney item put out one year after the opening of the new Walt Disney World in Florida! It measures approx. 8" x 12". 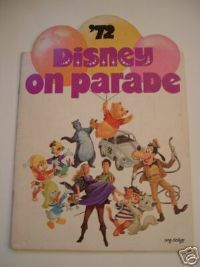 The front of this old show program features some of your favorite Disney characters including Jungle Book, Herbie The Love Bug, Goofy, Aristocats and more! Inside are over 20 full color pages of this Disney Character stage show. Inside are the show details, acts, song lists, behind the scenes pics, and cast info on this travelling show. A super piece of early Disneyana!!! Condition-Good to very good!